We’d love your help. Let us know what’s wrong with this preview of Moxie by Jim Baumer. 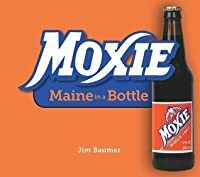 In this compendium of all things Moxie, Maine author Jim Baumer shows us why this soft drink has garnered such a loyal and vocal following. 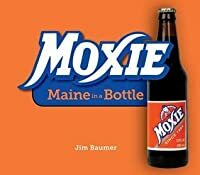 Through history, photos, festivals, and more, Moxie: Maine in a Bottle will make you feel like you have Moxie too! Representing old-fashioned values and a sense of community, Moxie is a heaping slice of Americana delivered Maine-style. To ask other readers questions about Moxie, please sign up. My boyfriends father likes moxie.I have never tried it but curious about it this past weekend when we picked up some at the store for him. I was asking him about the history of it the next day he show up at our house with the book and a bottle of moxie. He said after I read this I have to try a bottle( I'm slightly afraid too). Such interesting history. Im sure he is heading to the festival next weekend. As Frank Archer, Jr.’s nephew, I couldn’t not read this book. My mother still blames Coke for the Moxie brands’s downfall (I won’t tell her that Coca-Cola now owns the brand through one of its subsidiaries). A fun little book about a fun little drink. Nicely done Jim! 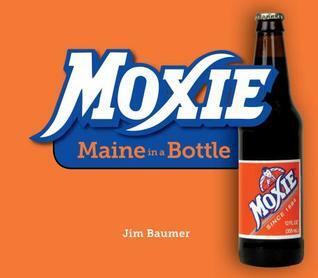 I really didn't know anything about the official soda drink of Maine: Moxie. This bood is a concise story not only about the soda, but also key people who ushered it through the 1800's, 1900's and on into 2012. Jim Baumer is a Maine-based writer who cares about people and the places that define them. A regional writer with a passion for his home state, Baumer’s first book, "When Towns Had Teams," has become the definitive book about the kind of baseball that was the heart and soul of small town life in the state just after WWII, and for the next three decades, before disappearing. The book provides a sna Jim Baumer is a Maine-based writer who cares about people and the places that define them. A regional writer with a passion for his home state, Baumer’s first book, "When Towns Had Teams," has become the definitive book about the kind of baseball that was the heart and soul of small town life in the state just after WWII, and for the next three decades, before disappearing. The book provides a snapshot of a place and time that has all but faded from view. In 2004, he began RiverVision Press, a small press committed to publishing books about Maine and the unique qualities that characterize the state. When Towns Had Teams was RiverVision’s first release and the book was awarded an IPPY by Independent Publisher as their top nonfiction title for the Northeast in 2006. He followed up his first release with the popular "Moxietown," in 2008. The book is now out of print after selling-out two press runs. In 2012, Down East Books, a venerable Maine publisher known for their books about Maine and New England’s unique qualities released Baumer’s third book, "Moxie: Maine in a Bottle," which took the subject of Moxie to the next level, widening the reach of Baumer’s knowledge about the iconic New England soft drink that was invented in 1884, and introducing him to a wider audience of Moxie fans. With the release of his latest book, "The Perfect Number: Essays & Stories Vol. 1," Baumer has now put out four books in nine years—while that may not qualify as prolific, it’s still a respectable output for a writer that does much more than just write to make a living. In addition to his books and running RiverVision Press, Baumer offers support services to other authors, helping them launch their own books independently. Drawing on his own successes as an small press publisher, Baumer knows the ropes, and brings considerable sales and marketing savvy to bear on the publishing process. Along with writing and publishing, Baumer serves as a consultant and is an effective community organizer.